Should they gain sufficient qualifications, the taxpayer would even be required to foot the bill for them to attend university. Siavash could speak only broken English, but by all accounts he threw himself into school life, turning up at the start of each day with smartly brushed hair and a spotless blazer, tie and V-neck sweater. In class, he worked diligently and talked politely to teachers. Unlike many a teenager, the bespectacled youngster even managed to tuck his shirt in. There was, however, a problem. Namely: Large numbers of the 668 girls and boys at Stoke High, an under-performing academy in a gritty neighbourhood of Ipswich just south of the city centre, came rapidly to the conclusion that the supposed new boy was not actually a boy at all, but very much a fully-grown man. At 6ft 1in, he stood head and shoulders over many classmates, while his chin was flecked with stubble. He also boasted a protruding Adam’s apple and a hairline that, from a certain angle, was starting to recede. In the cold light of day, many suspected he was nearer 30 than 20. ‘As soon as he started at the school, we all thought he looked far too old,’ a girl in Siavash’s year later recalled. It didn’t take long for the rumour mill to creak into action, as students began to speculate that the Iranian asylum seeker was brazenly lying about his age in order to get a free education, and indeed remain in the country. According to playground gossip, Siavash even confided to one contemporary that he was a married father of two who had decided to pose as a teenager because his academic qualifications weren’t recognised in the UK. The parent of a GCSE pupil was told the Iranian had confessed to being in his mid-20s. ‘My son asked him how old he was and he replied that he was aged 25 and married with two kids,’ she told the Daily Mail. Around the same time, parents began asking awkward questions, taking an understandably dim view of the potential presence of a grown man being educated alongside their children. Eventually, the school passed on concerns about his age to the Home Office. 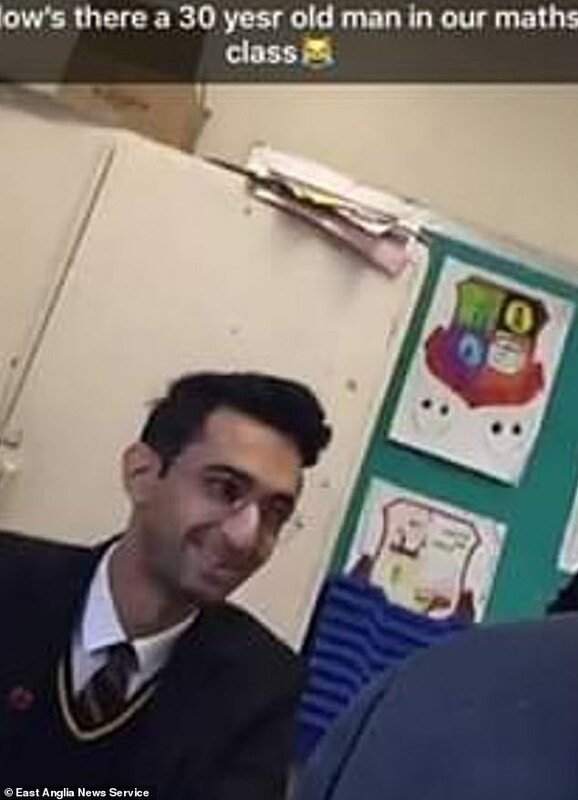 On November 2, the day Siavash was due to sit a mock maths exam, it emerged that both he and his younger brother had been pulled out of Stoke High pending a full investigation. The case immediately began to make headlines, with parents and politicians quick to raise concerns that the safety of potentially impressionable children had been seriously compromised. 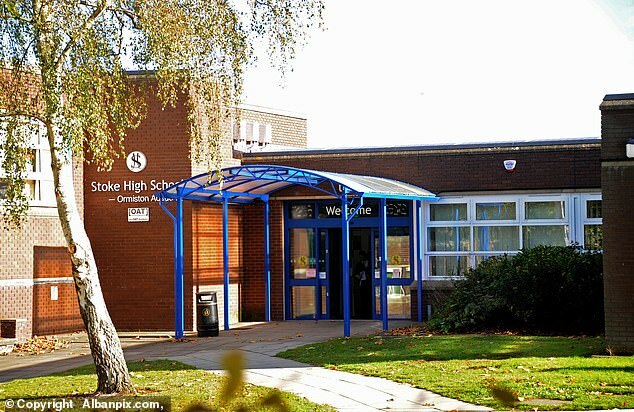 ‘He started FaceTiming my friend [using an online video link], sending her messages, asking how close she lived to the school,’ said one GCSE student. Serious questions were also raised about the school’s handling of the case, amid claims that complaints about Siavash had been blithely dismissed by staff, who in some cases had claimed the objections were motivated by racism. At one point, parents began sharing links to a Facebook page belonging to a man with the same first name and surname as Siavash, and who also had a similar appearance. 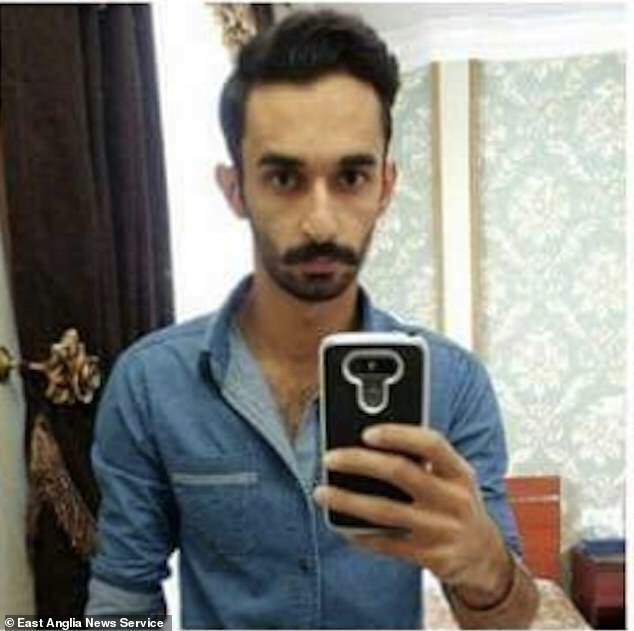 The account claimed that he was a former architecture student from Islamic Azad University in Abadan, Iran, who had previously lived in the German city of Erfurt. 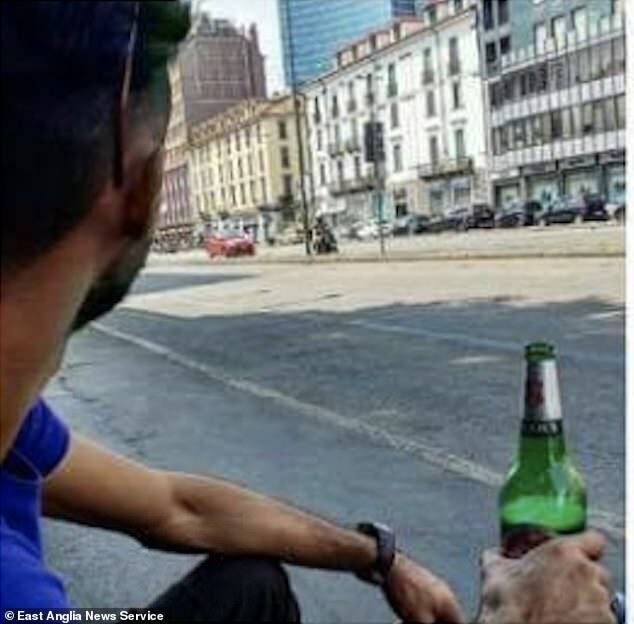 Pictures showed the page’s owner with a full beard and hairy chest, posing with customised cars at a motor-racing event and sipping beer on a European street. However, before it could be established whether the site did indeed belong to the young asylum seeker, it mysteriously vanished. 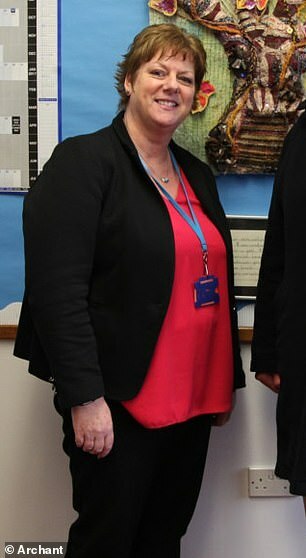 Whatever the truth about the Facebook page, the denouement of the investigation yesterday (Siavash was found to be an adult, though authorities accept that his supposedly 12-year-old brother is indeed a minor) proves that the wider concerns of pupils and parents at Stoke High were entirely justified. The bizarre episode leaves the school, the Home Office, and other safeguarding authorities with serious questions to answer. It also serves to highlight the seemingly routine abuse of laws which are designed to safeguard vulnerable refugees, but in reality provide a gaping loophole for fraudsters to exploit. Britain’s system, under which around 3,000 unaccompanied youngsters – around 80 per cent of whom are male – claim asylum each year, came under intense scrutiny in 2016 when a busload of alleged teenagers arrived in Croydon after being transferred to the UK from Calais. By claiming to be children, the new arrivals were entitled not just to free education, but also to places in local authority children’s homes (in areas with high migrant populations such as Kent, up to half the places in such homes are taken by unaccompanied asylum seekers). Yet critics have long pointed out that those rules also create an incentive for adult migrants to simply destroy ID papers and pose as vulnerable children. Indeed, several of the young men who disembarked from the coaches in Croydon appeared to be square-jawed men in their 20s or 30s. Photos of them duly made the front pages. A backbench Tory MP, David Davies, then fuelled the controversy by first claiming that the new arrivals ‘don’t look like children to me’ and then sparking outrage on the political Left by calling for unaccompanied child refugees to be given dental examinations to confirm their true age. Such a procedure had, he pointed out, recently been introduced in Norway, where it was then revealed that nine out of ten of those tested were over 18. Yet for suggesting that Britain ought to follow the example of the Scandinavian bastion of liberalism, Davies was likened to Hitler. Once the controversy in Croydon died down, the Home Office did eventually decide to tighten its procedures, however. Over the following year, it raised 705 age disputes related to unaccompanied child asylum seekers. Of the 618 resolved, 402 (65 per cent) claimants were found to be over 18 and just 216 (35 per cent) were found to be children. Today, the Department tells staff that asylum claimants who claim to be minors – yet lack reliable documentary evidence to support their claimed age – must be treated as adults when their appearance and demeanour ‘very strongly suggests that they are significantly over 18’. Assessments of physical appearance can include indicators such as height, build, facial hair and voice pitch. When assessing demeanour, officials can take into account observations on the individual’s mannerisms, body posture and eye contact. Crucially, when officials are unsure, the principle of ‘the benefit of the doubt’ is applied to the asylum seeker. And earlier this year, a watchdog report revealed some local authorities had raised concerns that the ‘benefit of the doubt’ policy was being applied ‘too readily’. That much was certainly true when they decided Siavash was just 15 years old. And plenty of parents will now be wondering just how many other British schoolchildren are sharing their classroom with grown adults.